Oh, for the Love of Baubles! | Oh, for the Love of Vintage! I’m thinking of starting an Etsy shop to sell my pieces. Comment below, or email me, to let me know if you think that’s a good idea! 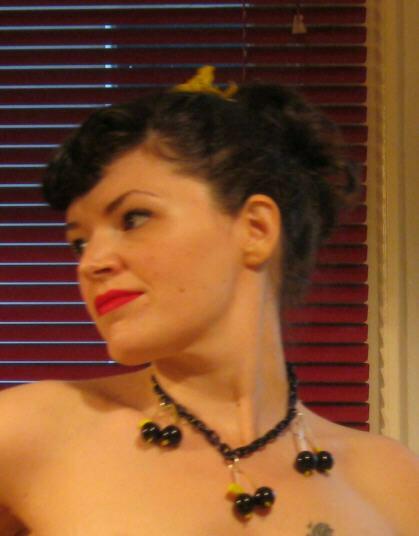 Black Cherry Necklace Oh, for the Love of Baubles! 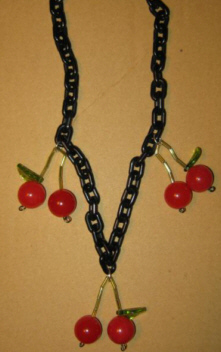 Red Cherry Necklace Oh, for the Love of Baubles! 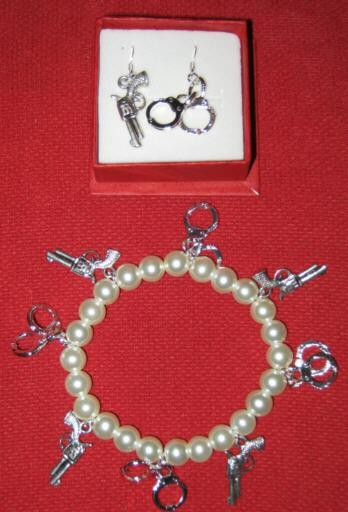 'Put 'Em Up' Earrings & Bracelet, Oh, for the Love of Baubles! 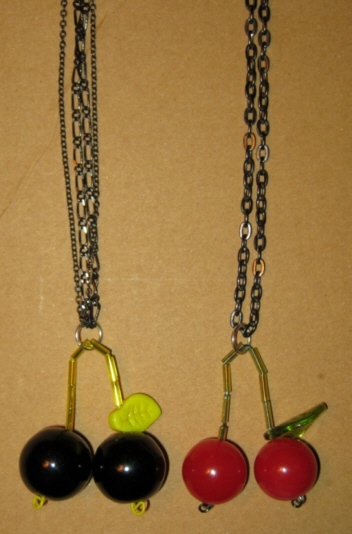 Cherry Necklaces, Oh, for the Love of Baubles! Pingback: A Lesson in Bakelite « Oh, for the Love of Vintage!